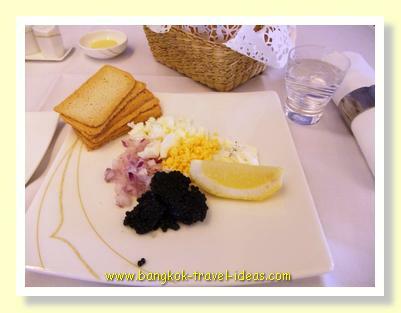 As a frequent flier, the Thai Airways Frequent Flier Platinum Card has some great features when travelling on Thai Airways and other Star Alliance partners and every so often I get the chance to use them. 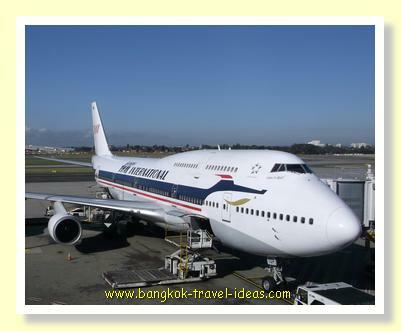 Due to work commitments I had left my flight bookings too late and my preferred dates were not available in either Economy or Business Class. 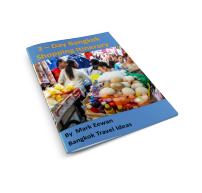 There was no other alternative but to fly First Class to Bangkok and trade in some of my frequent flier points for the tickets. 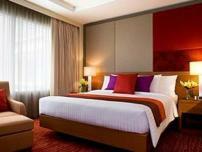 The good news was that as a Platinum Member I was able to fly for 50% fewer points. 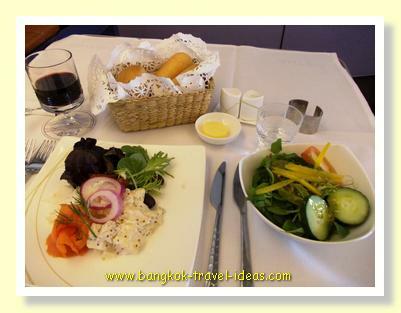 All in all it was a great bargain and as much as I did not want to use up my points the chance of flying First Class with Thai Airways held a lot of appeal. 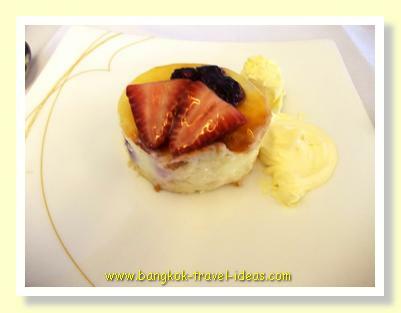 The real advantage of flying First Class is the great service provided and the excellent choice of food. 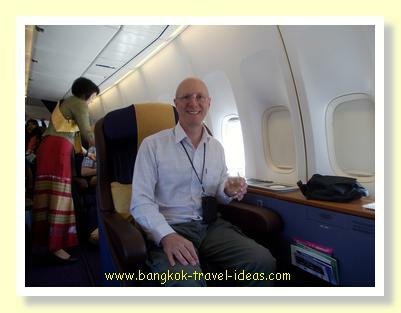 The seat is a little bigger than Business Class, but once a seat is big enough then anything bigger has no real benefit. 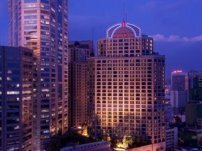 Additionally because I planned to fly in the day then the feature of the flat bed was something I could not take advantage of; great at night though. This was my flight experience. 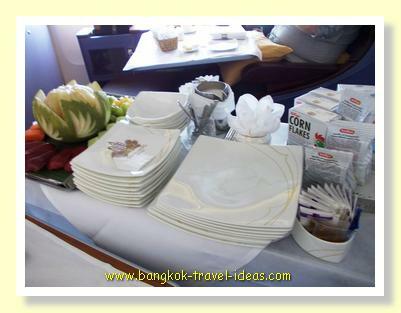 The flight took off from Sydney on time and as the meals were served I took a few photographs just to show the selection of food provided on the Sydney Bangkok leg of my journey. 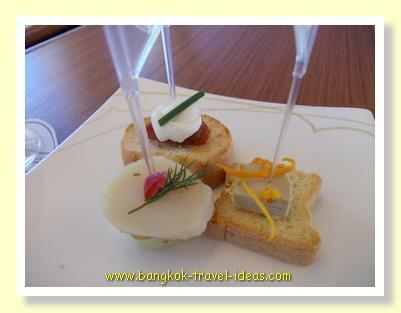 A "welcome drink" of fancy champagne as I boarded. 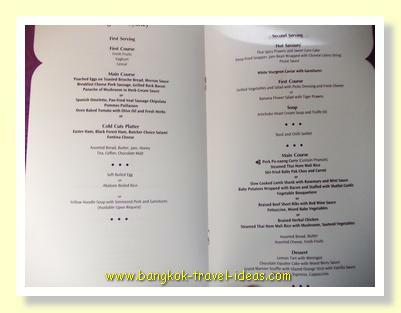 Scan through the menu to see what is on offer on this flight. 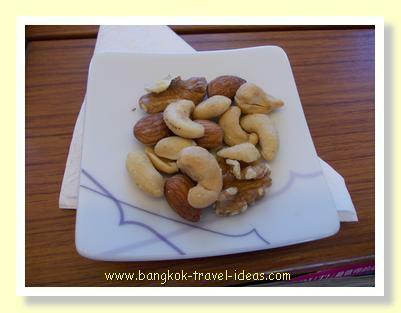 Someone asked me recently on Yahoo Answers, "do they serve hot nuts on Thai Airways"? I said no. Well to my surprise they do serve hot nuts. 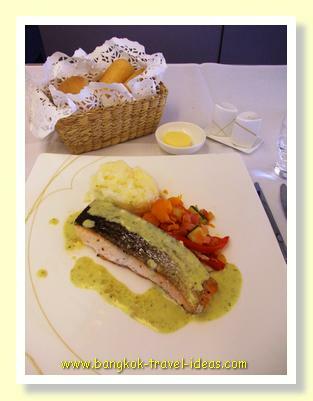 Pan fried Salmon with white wine and pesto sauce. 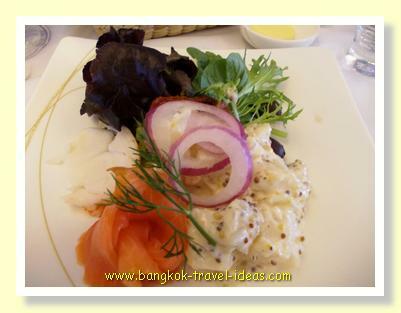 This was followed with a selection of cheeses and fruit, which I chose to skip as I had eaten sufficient by this point. The return leg was just as enjoyable as the outbound flight. 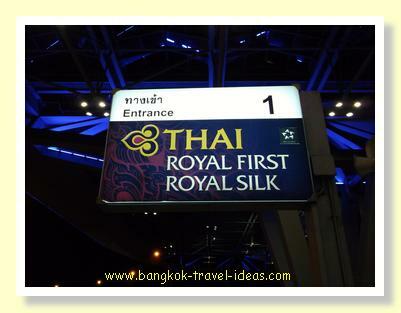 I always do the online check-in just to make sure that my flight has not changed and so I am fairly familiar with the Thai Airways website. 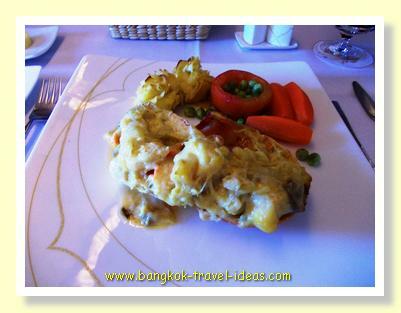 Previously I had seen that there was an option for special meals that could be ordered for those departing from Bangkok, so a day or so before my departure date I gave the option a try. 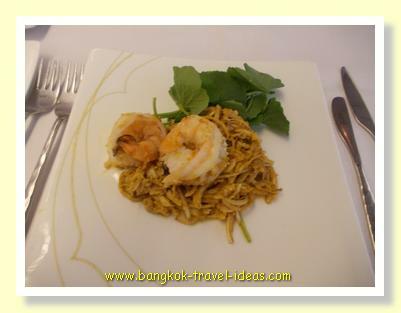 Actually it was quite interesting, because although the First Class food is really good, there are only three choices of main course on the onboard menu, but when I visited the online meal booking platform there was so much more choice available. I don't recall all the selections but I decided upon the Lobster. You really can't go wrong with Lobster and it sounds so decadent doesn't it and would give me something to brag about when I got back to the office. 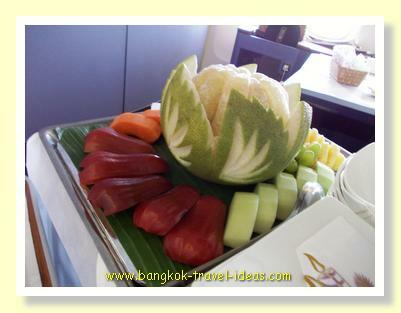 After arriving at Suvarnabhumi Airport I checked into the First Class lounge. 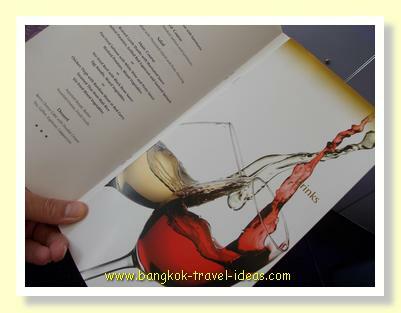 You can read more details about the Thai Airways First Class lounge at Bangkok Suvarnabhumi Airport and have a peek inside. 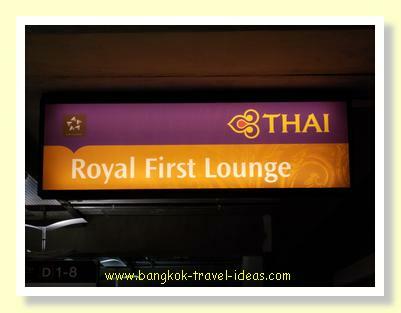 If you are a Thai Airways Frequent Flier and achieve Platinum status then you are entitled to use this lounge, no matter what class your flight is booked as. 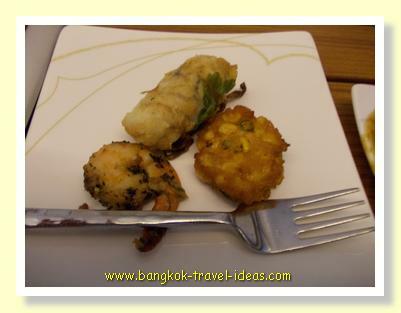 The flight took off from Bangkok Airport on time and as the food was served I took a few photographs to show off the selection of food available on the Bangkok to Sydney leg. 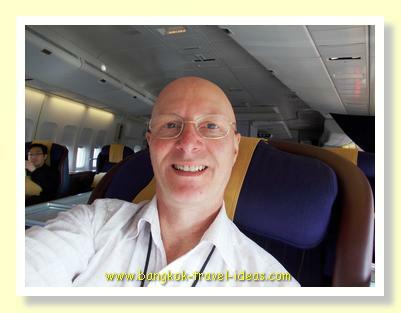 A quick self portrait as we prepare for take off from Bangkok Suvarnabhumi Airport. 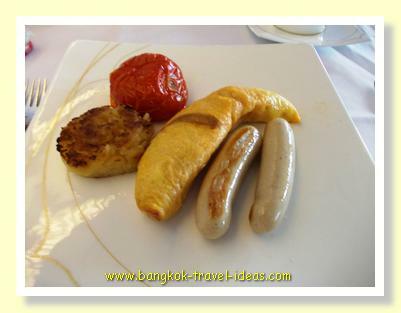 On long haul flights there is always time to have a second meal. 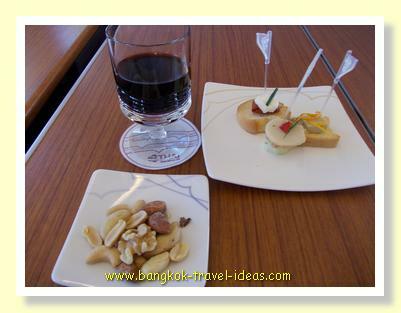 Here is a selection of what was served as we came in to land at Sydney Airport. 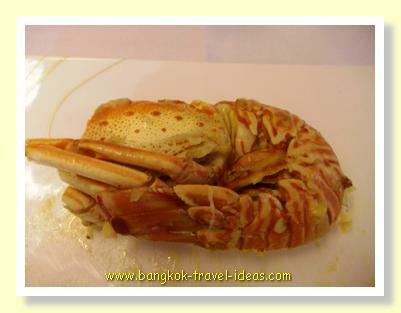 I turned the Lobster over once I had eaten it all, so you can see the shell and that it really was lobster. 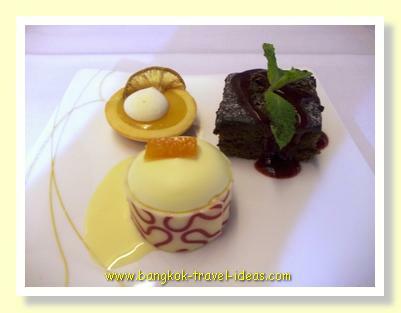 Lemon Tart with Meringue, Chocolate Equator Cake with Mixed Berry Sauce, Grand Marnier Souffle with Glazed Orange Stick with Vanilla Sauce. 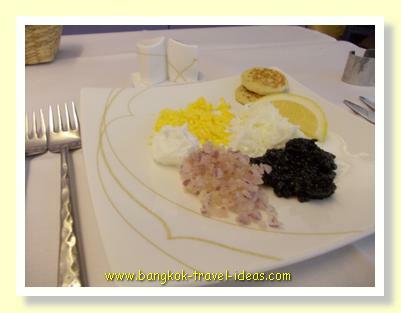 I hope you liked the display of food served to First Class passengers on Thai Airways and that it encourages you to fly Thai in the near future and who knows before long you could be entitled to a Thai Airways Frequent Flier Platinum Card. 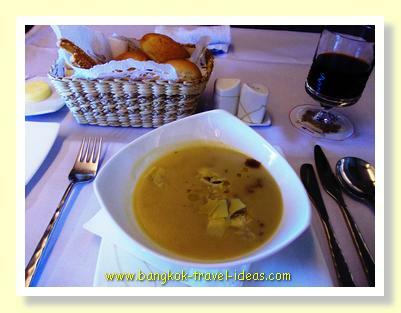 If you want to see some more food choices served to Thai Airways First Class passengers then click the link.